You'd have thought that after five years of walking on Gower each weekend there wouldn't be many places that I haven't yet been to or explored. As it turns out that couldn't be further from the truth. Saturday was a perfect case in point where a slight variation on a familiar route opened up a whole new series of views that had up till then eluded me. I've often struggled to take a pleasing photo of Whiteford Sands as although the expansive beach is mighty impressive to the human eye, it always seems to lose something through the camera lens. I wasn't expecting anything different this time as we prepared to walk along its length to Burry Holms. However, instead of taking the beach route we followed the actual coast footpath up onto the surrounding hills. The vistas that opened up before us really are some of the very best I've seen on the peninsula and finally I get to show the Whiteford area in its full glory. 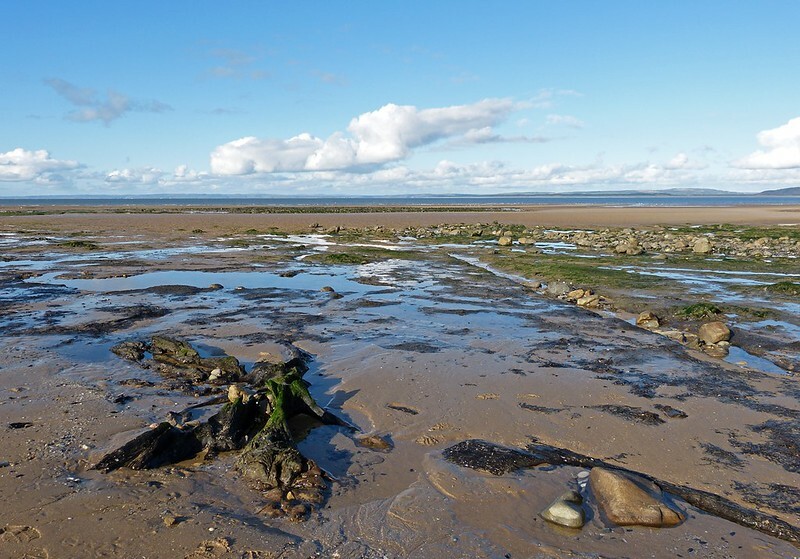 More new discoveries were just around the corner thanks to erosion in Broughton Bay. If you cast your mind back you may remember the extremely high tides we experienced last month and the resultant movement of sand along the areas beaches. Those on Gower itself seem to have been particularly effected with a noticeable loss of material at both Port Eynon and Rhossili. Broughton has suffered a similar fate resulting in the exposure of its underlying peat layers to a far greater extent than I've seen previously. These deposits date back about 10,000 years to when sea levels were much lower and the coastline lay about 80 miles off its present day position. 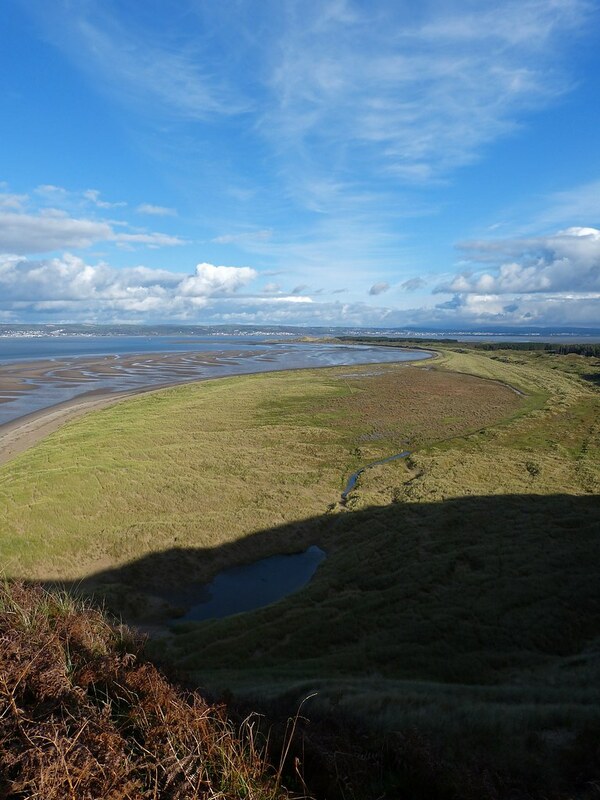 At that time the Severn estuary was an expansive and heavily forested valley, roamed by such mammals as Mammoth and Sabre Toothed Tiger. 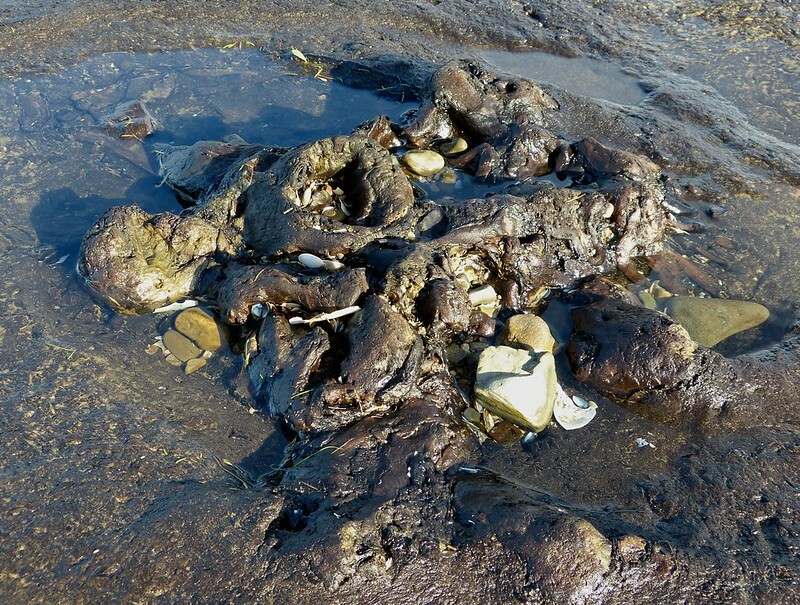 As water levels steadily rose following the last ice age those forests were inundated and slowly died away, their timbers ultimately becoming covered by a combination of mud and silt. Today continual erosion has once again exposed them in a remarkable state of preservation. Walking amongst the fallen trunks and massive stumps feels much as it must have done soon after the last tree slipped beneath the seas. 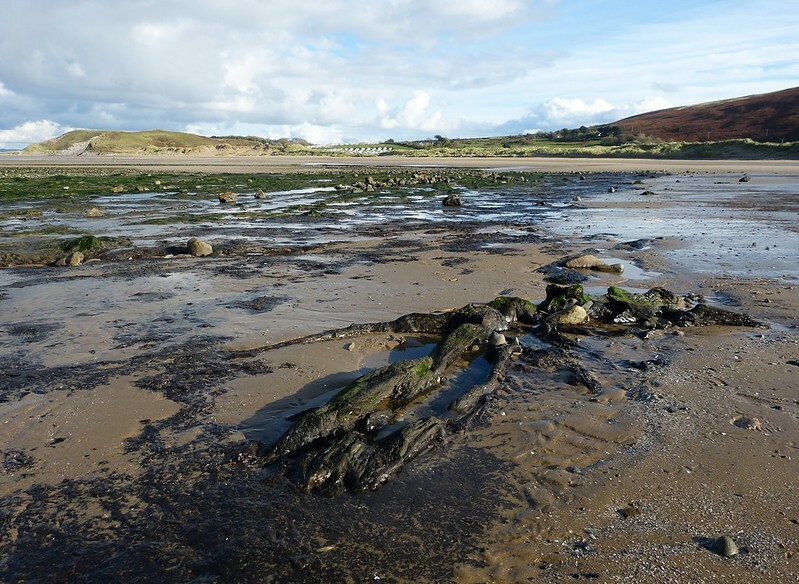 This section of submerged forest is certainly the best example I've seen in terms of preserved wood, but similar peat layers are gradually emerging at Whiteford, Port Eynon and around Swansea Bay. 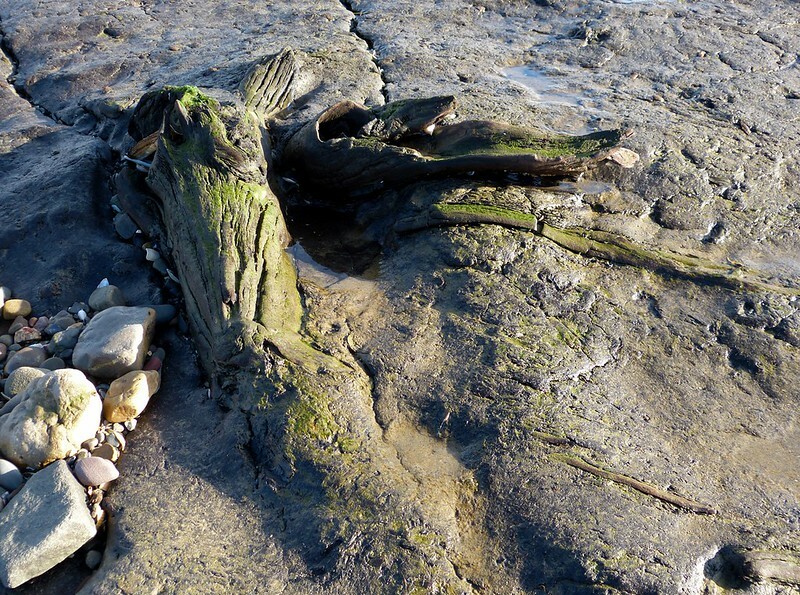 There is also a great example of a submerged forest up at Borth in Cardigan Bay where they have also found preserved footprints amongst the trees. I didn't spot any of those at Broughton but you never know what the sea will reveal in the future. HOLY COW thats amazing! Those old submerged woods are most interesting! Sea levels are certainly rising, I cant help but wonder what our New Coast Lines will look like? ITS a beautiful area Adam, and the photos are excellent!! Superb set Adam. Especially like those first three.